Meet Karen. Karen and I co-founded la Puerta Abierta ten years ago. Way back when, Karen and I worked together in the rural school of Tzanchaj sharing creative learning with young students. I was a Peace Corps volunteer and Karen was a 6th grade elementary school teacher. 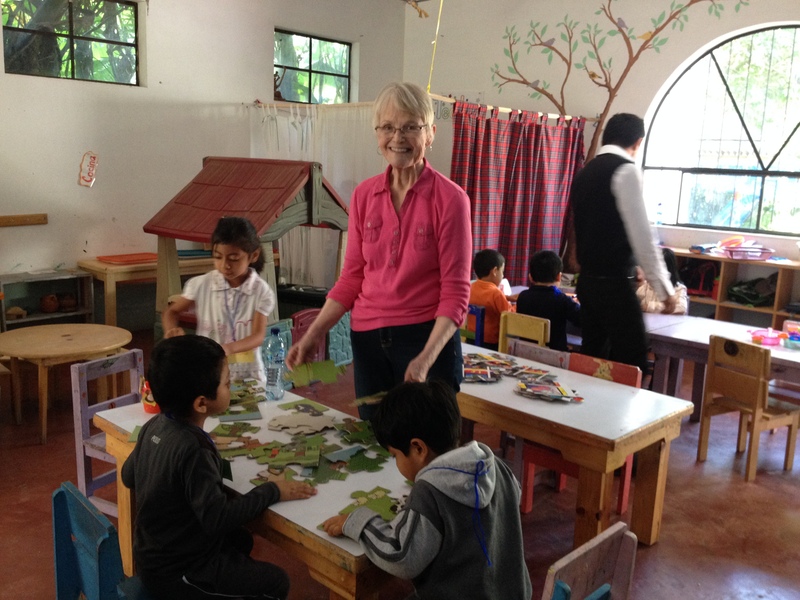 Over the years, Karen has dedicated her time to supporting our center from afar while I have been developing La Puerta Abierta in Santiago Atitlan. 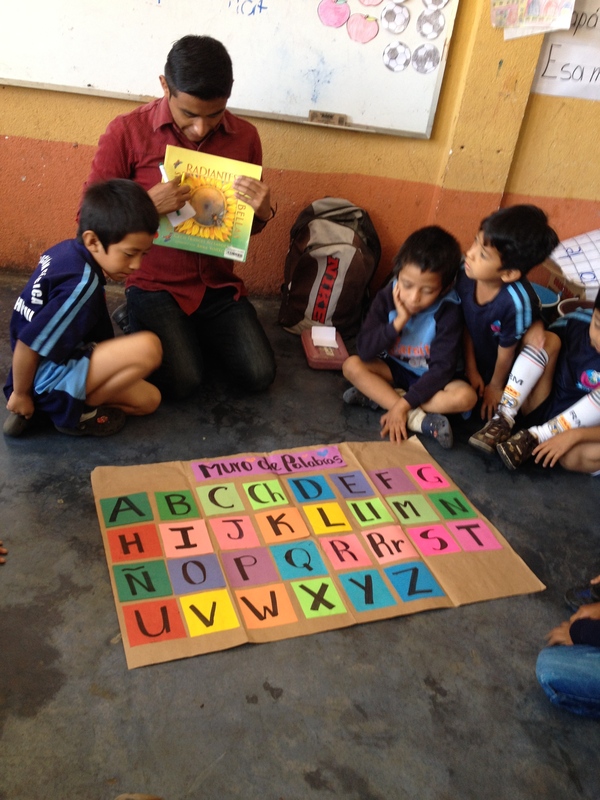 We are both passionate about books, reading development, creative teaching practices and most importantly, Guatemala. We make a dynamic team! 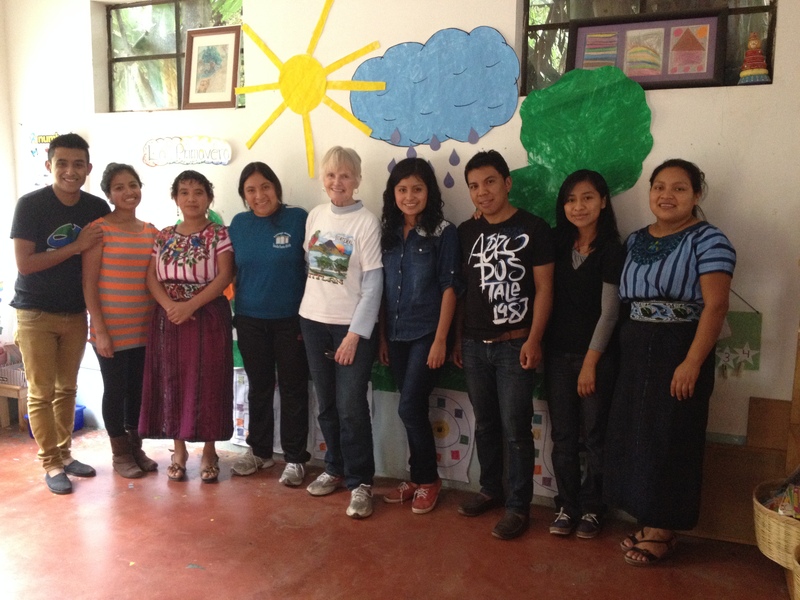 Karen’s visit to La Puerta Abierta this year coincides with Mother’s Day, celebrated in Guatemala on May 10th which reminds me that Karen truly is la madre de la Puerta Abierta. Her yearly visits bring us warmth, enthusiasm and appreciation for the work that our team carries out on a weekly basis. 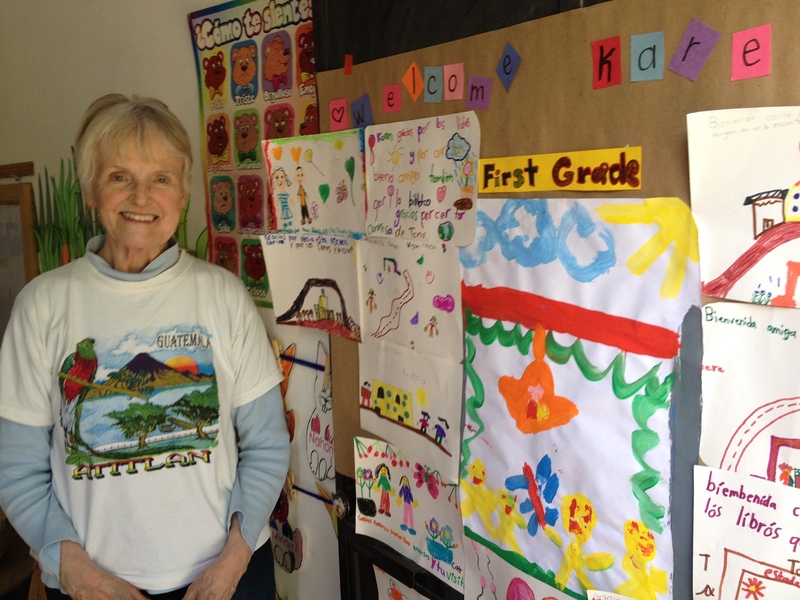 During her week in Santiago, Karen has had the opportunity to read and teach English with our students. We enjoyed learning a new rendition of “Who stole the cookie front he cookie jar?” and eating cookies too. 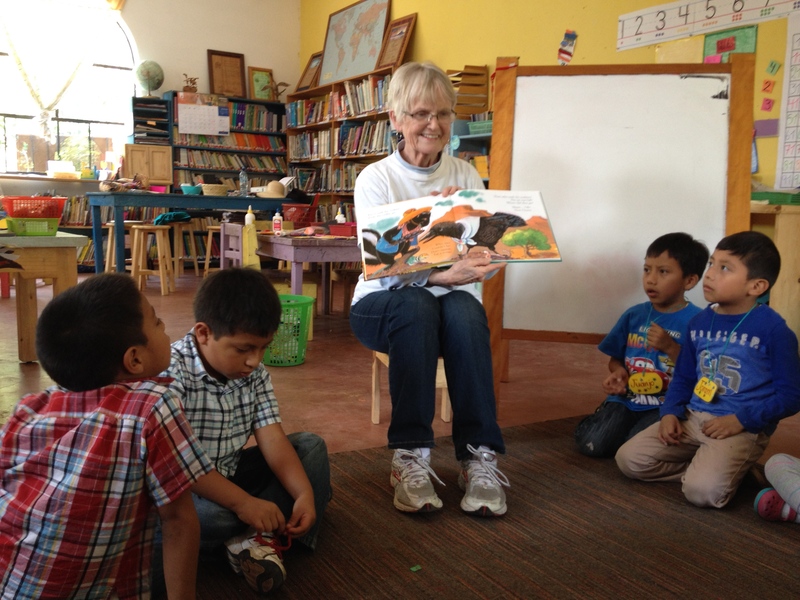 She also visited with Isaias and our traveling library program. 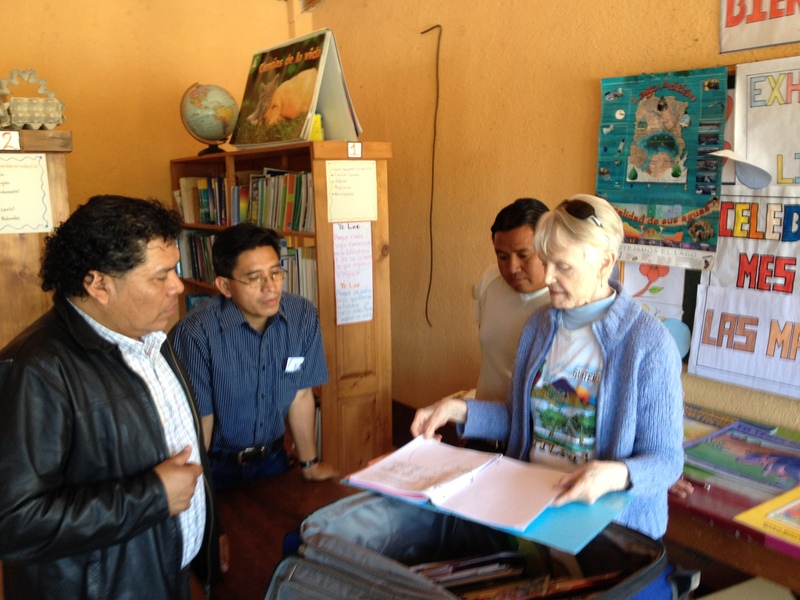 Karen delivered books to rural schools. 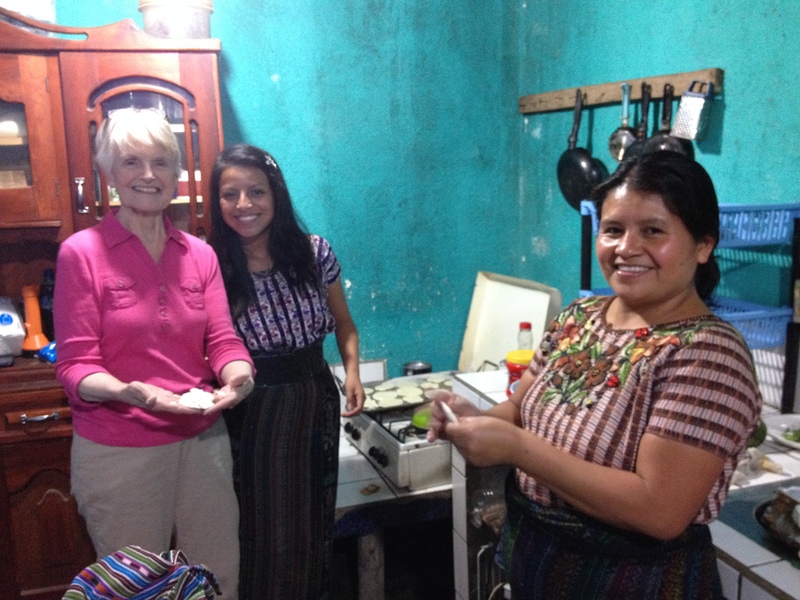 And made tortillas with Juanita, Isa, and Maria’s family! Thank you Karen for your support of our center and our community.